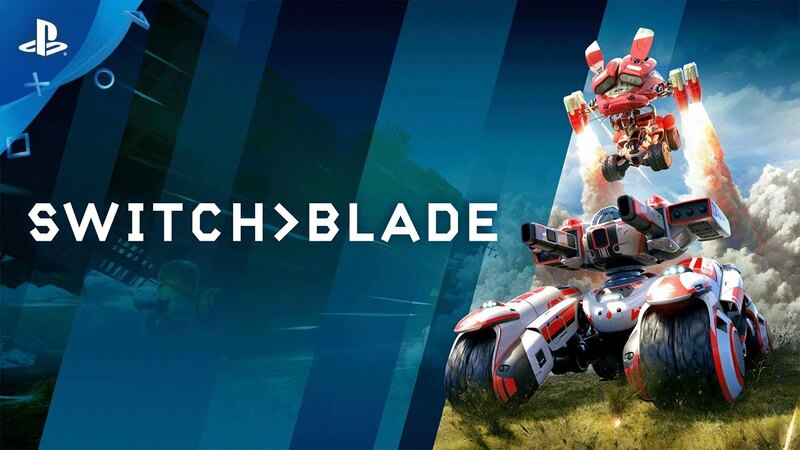 Switchblade is a team-objective, multiplayer action game based around vehicular combat. In Switchblade, seamlessly switch between heavily armed vehicles at any time to create endless tactical choices. 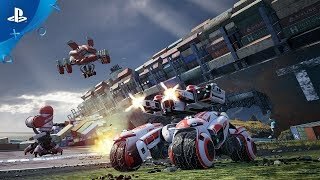 Chase down a rival in a speedy fighter, then swap to a heavy-duty battlewagon to attack your competitor’s tower as your teammates switch between healers and artillery to back you up. One of unique gameplay features of Switchblade is choosing two vehicles before the match, which can be swapped at any time. This is critical in the game as, over the course of the match, there are many different scenarios emerging from the constantly evolving battle happening on the battlefield. Switchblade has been built from the ground up to support E-Sports. Every player is portrayed as a virtual character. Start the game in a hall of champions where you can jump into a game lobby, or personalize your character cosmetically and continue to play the game you will be able to unlock tech chips that tweak your skills further. The Switchblade Legendary Pack includes all current and future vehicles in Switchblade. This means you'll have instant access to the current 16 vehicle roster and instantly unlock new vehicles upon release. Includes exclusive Founders vehicle skins for the current 16 vehicles. Unlock the perfect skin for your vehicles or the latest gear for your character. With the Legendary Pack you'll be the envy of everyone on the battlefield. Also includes the full game. Grab some exclusive skins for your fleet of vehicles and bring some bling to the battle with the PlayStation®Plus V.I.P. pack.